How long does emphysema, a respiratory disease that can damage alveoli (air sacs) in the lungs, take to kill you? To describe the progression and severity of emphysema, doctors use staging system. In general, the prognosis and outlook of the disease is equivalent with the stage of the condition. When it has become advanced, it is more difficult to treat and patient has shorter life expectancy. Emphysema is one of a group of lung conditions known as COPD (chronic obstructive pulmonary disease) or sometimes also called as COAD (chronic obstructive airways disease). There are a number of causes that can lead to the condition. But long-term exposure to irritants (especially such as tobacco smoke) is often to blame. The air sacs of your lungs are important to support the lungs function. Emphysema can weaken the inner walls of these air sacs, eventually rupture. It can seriously damage the lungs. It can lead to increased pressure in the blood vessels that line between the heart and lungs, causing heart problems such as cor pulmonale (a condition in which a section of the heart weakens and expands). The risk of pneumothorax (collapsed lung), life-threatening condition because it can significantly impair the function of your lungs. The risk of developing a condition called giant bullae (large holes in the lungs). The empty space in the lung (the hole) can be as large as half the lung. Currently, there is no treatment that can reverse or cure emphysema. The goal of the treatment is to help treat the symptoms, reduce the risk of complications, slow its progression, and minimize disability. The treatment can vary, depending on several factors. Therefore it should be made on an individual case basis. Corticosteroid, inhaled as aerosol sprays. This can help improve shortness of breath. Relax constricted airways with bronchodilators! It can help ease symptoms such as shortness of breath and coughing. Antibiotics, if patient have a bacterial infection such as pneumonia or acute bronchitis. Changes in diet (nutrition therapy). Eating right is important for your overall health, especially if you have emphysema. It plays a key role to maintain your weight. Many people with early stages of the disease need to lose weight. But on the other hand, they often need to gain weight when the disease has become advanced. Pulmonary rehabilitation. 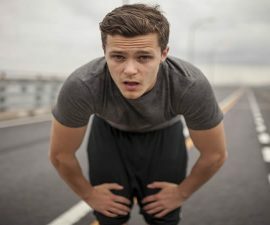 In this therapy, you can learn appropriate techniques and exercises to breathe effectively. Supplemental oxygen therapy! You may need it if you have low blood oxygen levels. Typically, it’s administered via narrow tubing into your nostrils. If necessary, surgery can be suggested to treat emphysema – this is usually dependent on the severity of the disease. Surgery to reduce lung volume by removing small wedges of the lung (especially the damaged lung tissue) so the remaining lung tissue can work and expand more effectively. This can help improve your breathing! In severe case, lung transplantation may be your option – particularly true if other treatments have failed! How long does it take to kill you? The prognosis and outlook of people with emphysema can vary. However, as mentioned before, the stage of the disease usually plays a key role. In general, this respiratory disease is relatively easier to treat if caught early. On the other hand – the more advanced stage of the disease, more difficult to treat and patient has worse life expectancy. There are a number of procedures to determine the stage of the disease. The result of your pulmonary function testing (PFTs) may be the first procedure that your doctor needs to figure out. It is important to follow and evaluate your lung capacity. In this procedure, you breathe and blow air through a narrow tube – and at the same time, the airflow is analyzed and measured. Emphysema can damage the lung and cause small air pockets that trap air, making your lung work harder and you breathe more difficult. The more air that becomes trapped, the worse level ‘decline’ of your pulmonary function test result! The next common procedure is GOLD staging system, created by the Global Initiative for Chronic Obstructive Lung Disease. It is the major emphysema staging system and now widely used. 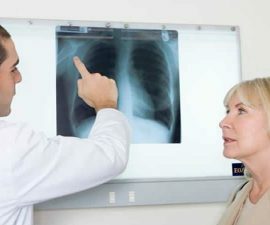 How does GOLD emphysema staging work? Stage 1, a condition of when FEV1 is equal to or higher than 80 percent of normal. It is also often called as mild emphysema. Stage 2 (moderate stage), a condition in which FEV1 is lower than 80 percent of normal – but equal to or higher than 50 percent. Stage 3, FEV1 is lower than 50 percent of normal – but equal to or higher than 30 percent. This stage has been categorized into severe emphysema. Stage 4, the most advanced stage (very severe emphysema). It describes when FEV1 is lower than 30 percent of normal – or less than 50 percent with low levels of oxygen in the blood. B, body mass index – weight adjusted for height. O for obstruction (airflow limitation), this variable is usually analyzed with pulmonary function tests. D for dyspnea (breathlessness), analyzed with a questionnaire. E for exercise capacity. It can be measured by how far patient can walk in 6 minutes. So, how long does emphysema take to kill you? Although emphysema staging is helpful enough to evaluate the severity of the disease, but it only provides the rough prognosis and outlook of the disease. It can be used for a general guideline, but it cannot predict the future exactly because each case is unique. Again in general, the life expectancy is better if emphysema caught early. And this declines as the disease becomes advanced. The higher your emphysema staging is, the worse prognosis of the disease will become.